Heading out to Manotick is a popular destination with many local cyclists because it is a town with its own distinct identity that isn’t that far from Ottawa. Depending on your departure point, this ride will be close to 25 kilometres one way, or 50 kilometres for the return trip. This is a nice distance for an afternoon ride. The town itself is fairly interesting. 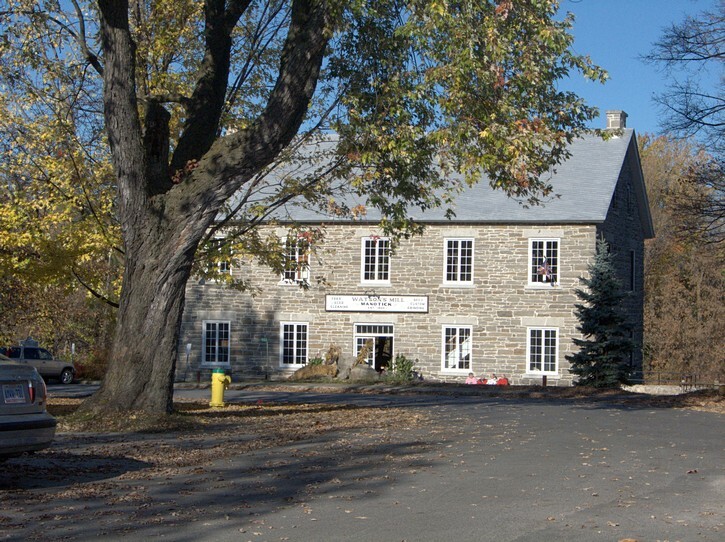 Manotick’s signature landmark is the old Watson’s Mill, which is located on the banks of the Rideau River opposite Dickinson Square. 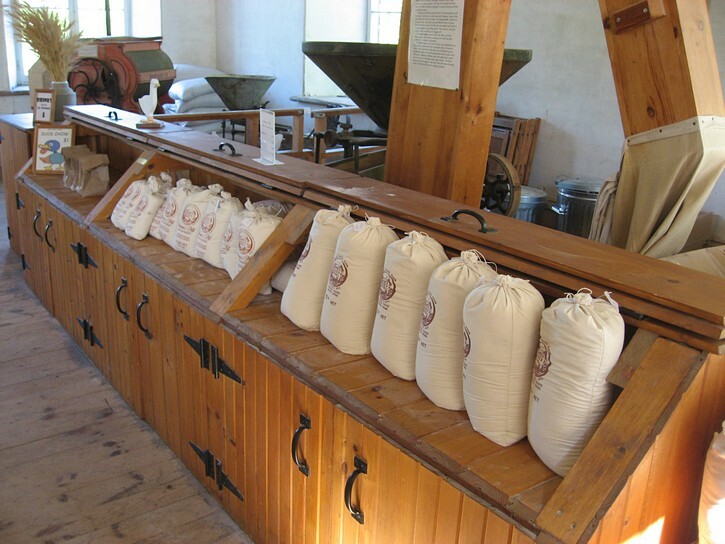 It is one of the few remaining operating gristmills in Ontario and is open to the public. 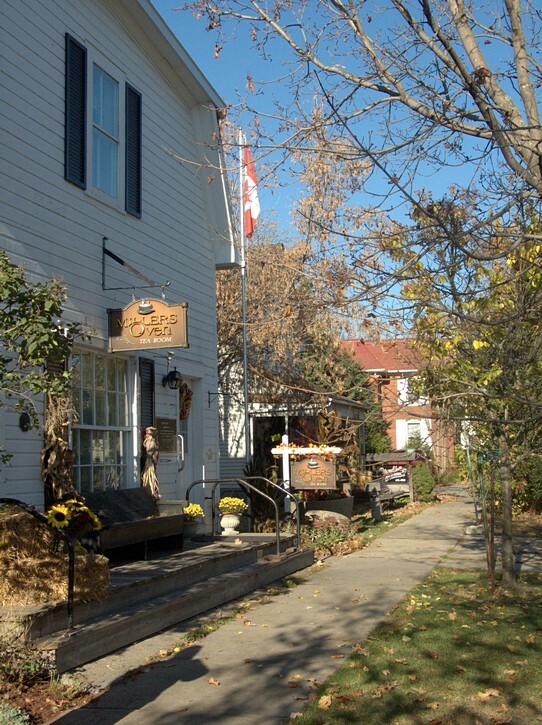 One block away from Watson’s Mill is Manotick’s main street where you can stop for a relaxing meal at a number of restaurants or pubs. 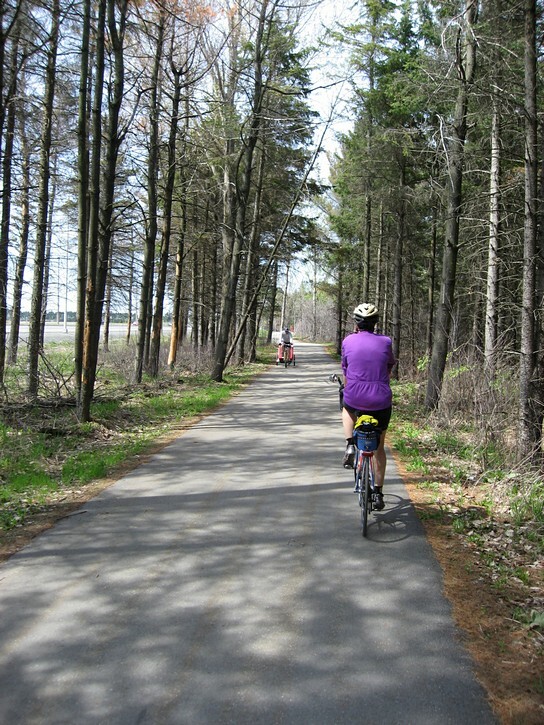 There are several ways of getting to Manotick, two of which can be done almost entirely on a combination of pathways, bicycle lanes, and paved shoulders (although you will be cycling next to some fairly busy roads in a few areas). These include the Prince of Wales route (when construction work is completed late in 2017) and the Woodroffe route. 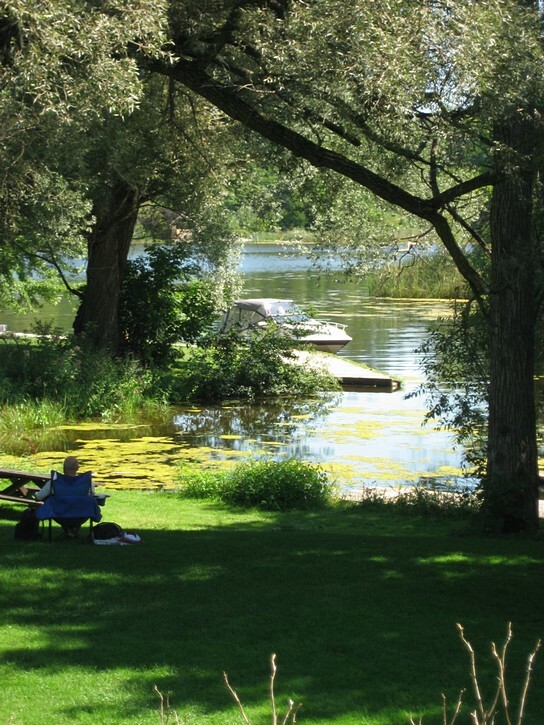 If you use the Prince of Wales route, you’ll be following the Rideau River, and you’ll pass by several parks that are perfect places for rest stops and to take in the scenery. Both routes are fairly flat, as there are no real hills to speak of. One of the more convenient routes for getting to Manotick is to head over to the section of Prince of Wales Drive which runs through the Experimental Farm. 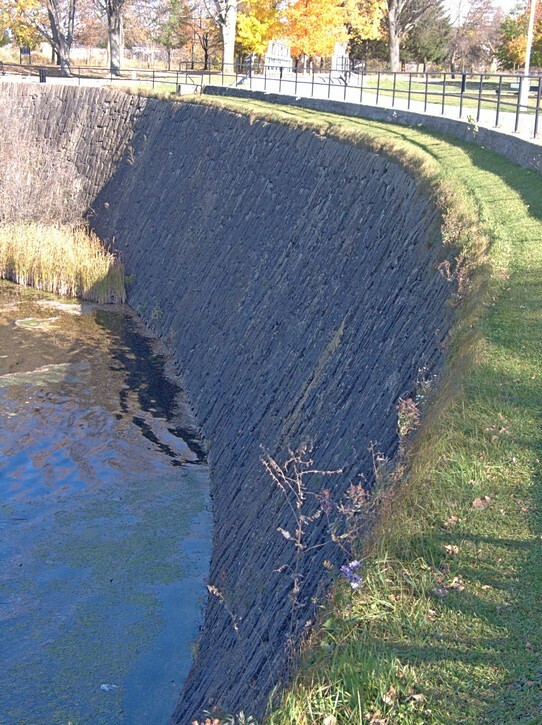 If you are coming from the downtown area, follow the pathway along the Rideau Canal to Carleton University, and then turn right (at the Hartwell’s Lockstation) towards the Experimental Farm. This will bring you to Prince of Wales Drive in about 200 metres. If you are coming from the west-end, take the Pinecrest Creek Pathway which automatically becomes the Experimental Farm Pathway. Needless to say this will eventually bring you into the heart of the Experimental Farm. Once there, head to Prince of Wales Drive on the east side of the farm. While you never really get lost on the farm, the most efficient way to cross it is to follow Cow lane east, turn right on Morningside Lane, and then left on the next paved laneway (there are pathway signs for these turns). Regardless of which route you take, you’ll turn onto Prince of Wales Drive and head south. There can be quite a bit of traffic on this road, but this shouldn’t be a concern since this part of Prince of Wales Drive has a nice paved shoulder that varies in width from 1 to 1.5 metres. Moreover, the ride along Prince of Wales is somewhat interesting because it is one of the older roads leading in and out of Ottawa, and there is some variation in the urban landscape in this area (as opposed to endless rows of cookie cutter subdivisions). With this route, you will stay on Prince of Wales Drive for most of the ride to Manotick. Prince of Wales will undergo major construction for road bed rehabilitation between Hunt Club Road and Strandherd Drive from May to November, 2017. 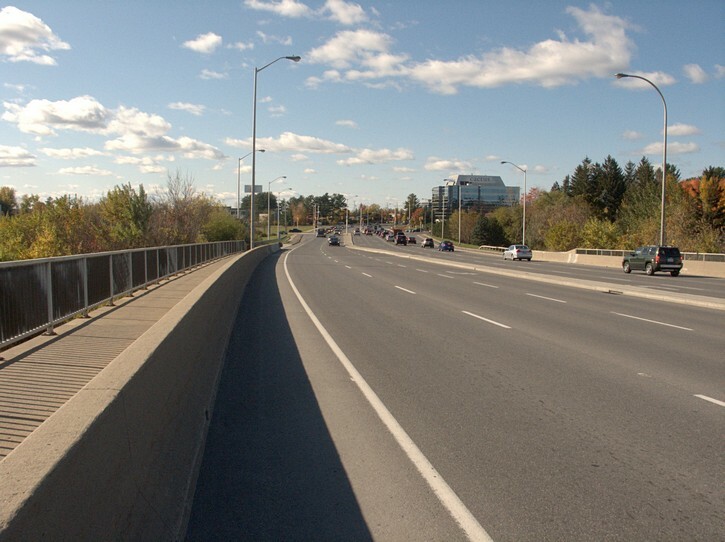 Although Prince of Wales will remain open during this period, its lanes will be narrow, shifted onto the existing shoulders, and travelled by heavy construction vehicles. For this reason, the City of Ottawa is recommending cyclists avoid this section of Prince of Wales for most of 2017 by taking the following detour (see map). The city has since revised the northern portion of the cycling detour with the following map. There will also be signs indicating the cycling detour. 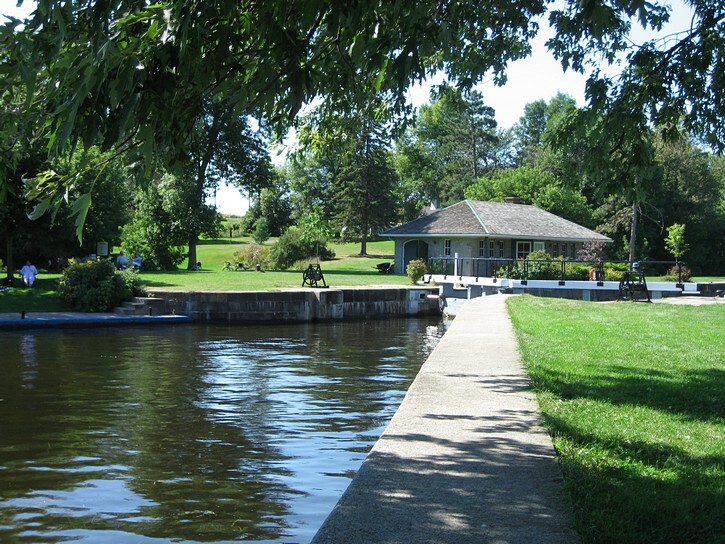 A little over a kilometre and a half after Prince of Wales crosses Hunt Club Road, you will pass by an attractive park that is home to the Black Rapids lock station on the Rideau Waterway. The entrance to the park will be on your left, and it isn’t too obvious from the road. However, it is not that hard to spot if you are keeping an eye out for it. 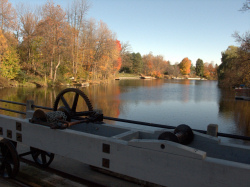 This park and lock station is worth a visit because it is a perfect place to stop for a rest and to watch the comings and goings along the Rideau River. Hills and trees around the park block out much of the view of the surrounding roads, buildings, and suburban housing developments, and you can get the feeling that you are far removed from the city. 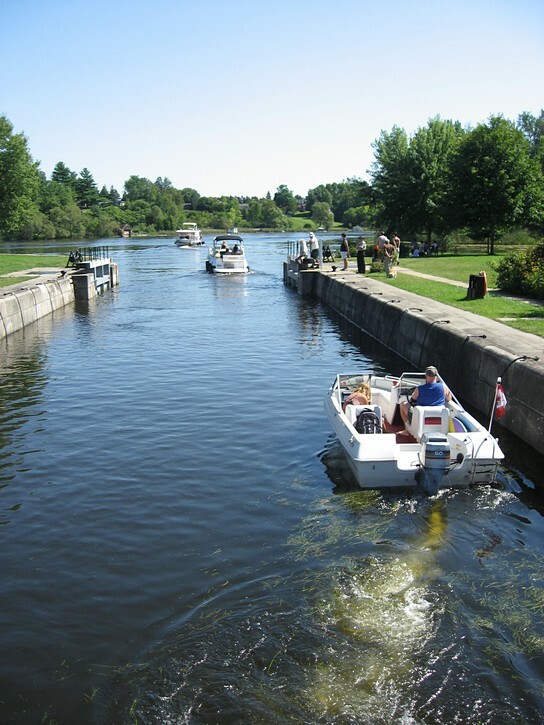 In another 5 kilometres, you’ll ride pass the Vimy Memorial Bridge, and shortly afterwards, the Jock River Landing and surrounding park. The Jock River Landing is another good spot to stop for a rest and to check out the Rideau River (and it’s a popular place for launching kayaks). 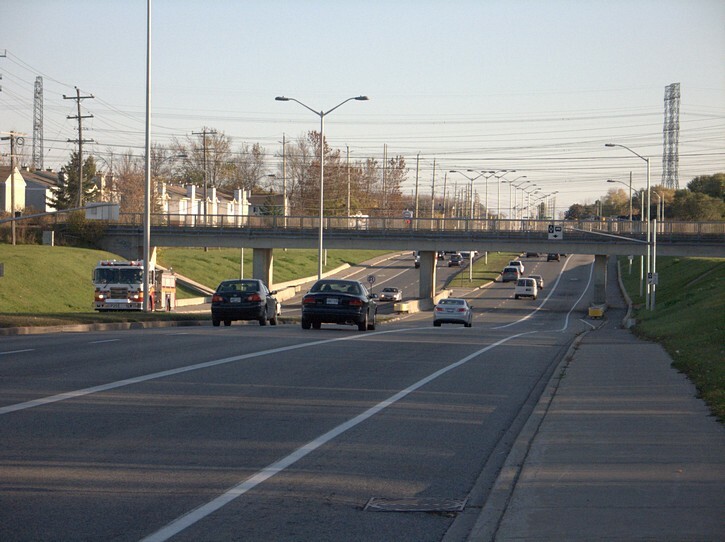 Note that as of the spring of 2017, there is 4 to 5 kilometre segment of Prince of Wales Drive, just south of Fallowfield Road, that has no paved shoulder. 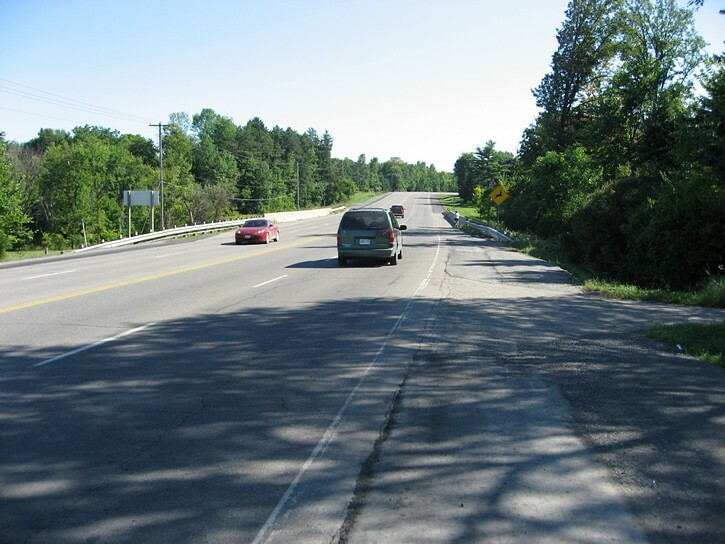 However, parts of Prince of Wales Drive are being rebuilt during the summer of 2017, and it is expected that there will be a good paved shoulder in this area once the work is completed. Heading south on Woodroffe Avenue is another option for going to Manotick. 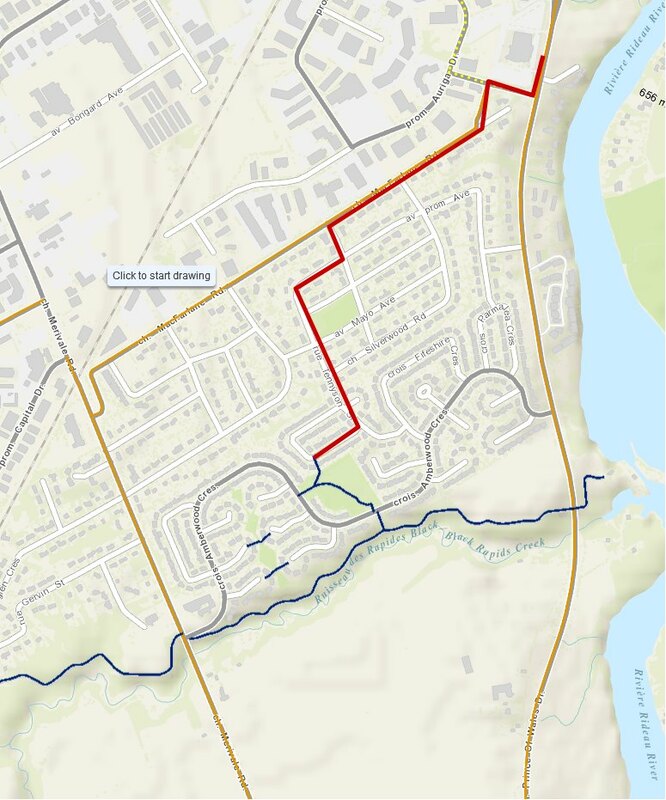 This route will allow you to bypass the Experimental Farm and most of Prince of Wales Drive, and it could be convenient for people coming from the city’s west end. 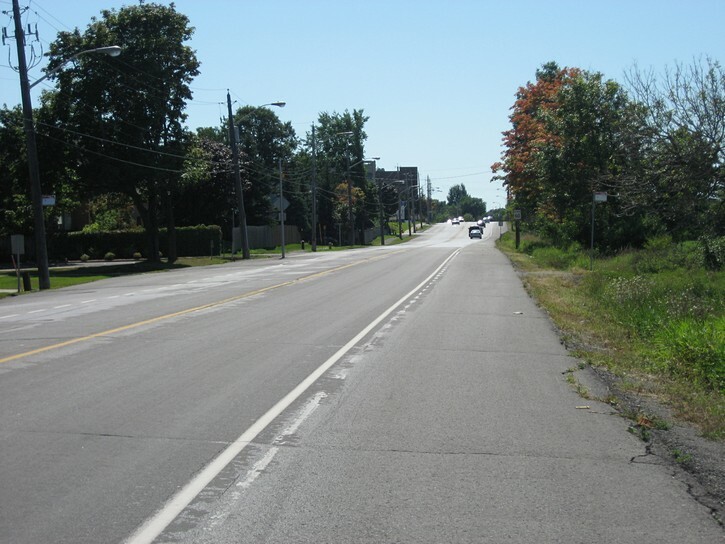 Although it’s a fairly busy road, there’s a good bike lane that runs along most of Woodroffe. In one area, there’s a completely separate bike path that parallels this road. The main disadvantage with Woodroffe is that its bike lanes only start around Algonquin College just south of Baseline Road. The northern section of Woodroffe (between Carling and Baseline) has tons of traffic, no bike lanes or paved shoulders, and is definitely not a bicycle-friendly place. To get around this, use the Pinecrest Creek Pathway and turn off it a few hundred metres before Woodroffe. You have to turn right onto a side path where there’s a small sign directing you to Baseline. Stay on this path as it passes under Baseline Road and brings you next to one of the Algonquin College buildings (Woodroffe will be less 100 metres to your left). The trick is to get over to this part of Woodroffe, but the city’s cycling map is very ambiguous about how to do this. You may have to head south by cutting through the parking lots for the Centrepointe complex and following a small residential street to Tallwood Drive. Turn left on Tallwood Drive and you’ll soon be on Woodroffe. Once on Woodroffe, head south to the very end. You’ll be on a good bike lane most of the way, except for the last little part of Woodroffe, which becomes a quiet residential street with no through traffic. 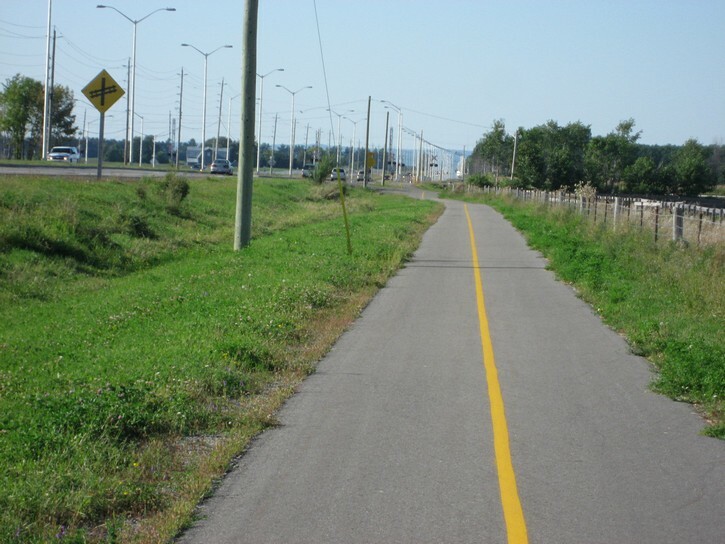 Just as you pass the Nepean Sportsplex (right after Hunt Club), you’ll have the option of cycling on a nice pathway that parallels Woodroffe on the left (east) side of the road. This pathway runs through a forested area and is a little over 3 kilometres long. The view of the Rideau River in Manotick. There’s another option for getting to Manotick’s downtown area. 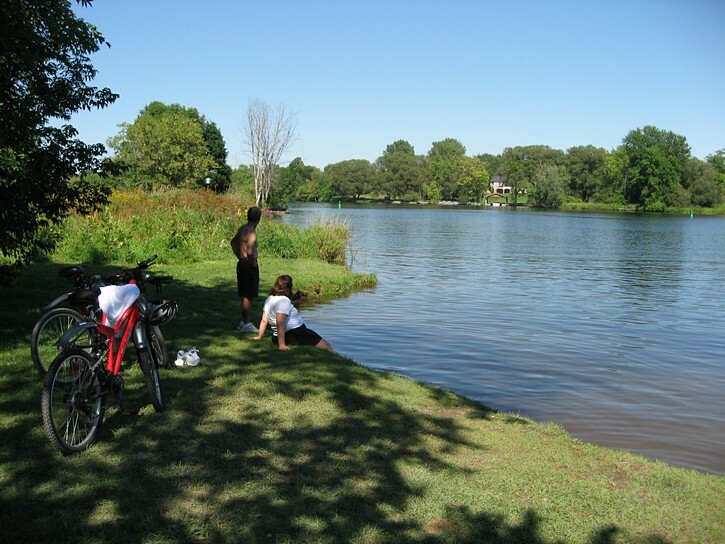 Instead of staying on Rideau Valley Road (which can be busy), you can choose to ride part of the final three kilometres on narrow island is situated in the middle of the Rideau River. 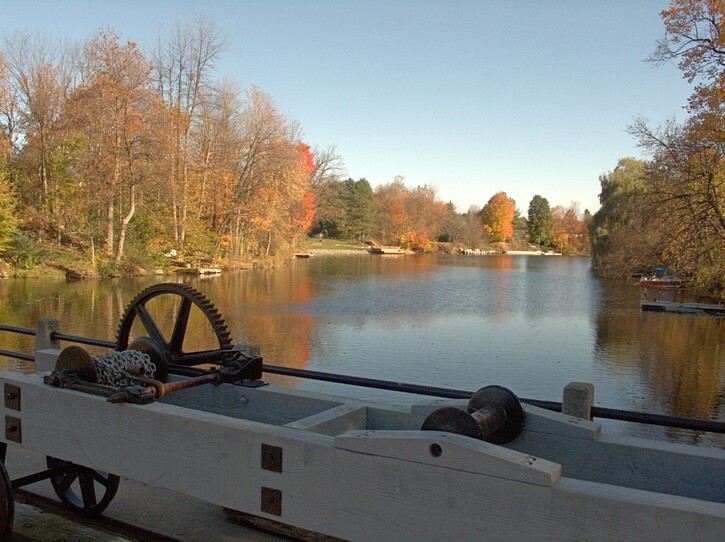 It’s call Long Island, and it’s home to Manotick’s residential district. To get on the island, turn left onto Barnsdale Road and you’ll soon cross a small bridge. Once on the island you want to turn right and head in a southerly direction. Since this is a residential area on a long narrow island, it really makes little difference what street you take – they all head in the same direction. After about two kilometres, you will arrive at Bridge Street. Here you will turn right and cross a bridge in a few hundred metres. 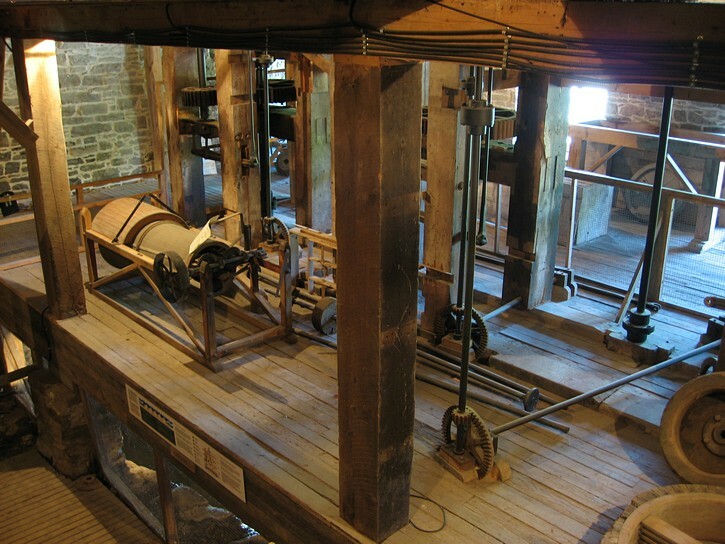 Immediately after crossing the bridge, turn left onto Mill Street you will find yourself in front of Watson’s Mill. Mill Street curves to the right and leads to Manotick’s Main Street. Needless to say, there are alternative routes for getting to Manotick from Ottawa. 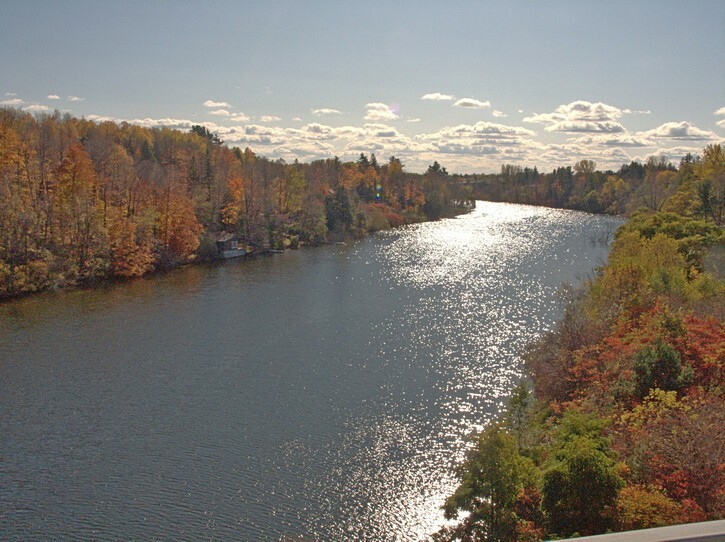 This article features routes which run on the west side of the Rideau River, where you have the option to ride to Manotick on a combination of pathways, bike lanes, and paved shoulders. You can, of course, ride on the east side of the river. If you’re departing from Ottawa’s urban area via Prince of Wales, Hunt Club Road provides a good point for crossing over to the east side of the Rideau River (there’s a bicycle lane on the bridge). From here, you can ride to Manotick by following Riverside Drive. Initially there is a good paved shoulder along Riverside Drive as it passes behind the Ottawa Airport, but it comes to an end where it becomes Limebank Road after the intersection with River Road. Here you have to make a decision. You can continue on Limebank Road, which runs a little east of Rideau River. It’s a nice straight road and the northern section of Limebank has an excellent paved shoulder. Unfortunately, further on you’ll have to ride a two-kilometre stretch on Limebank that has no paved shoulder. When you get to Mitch Owens Road, turn right. 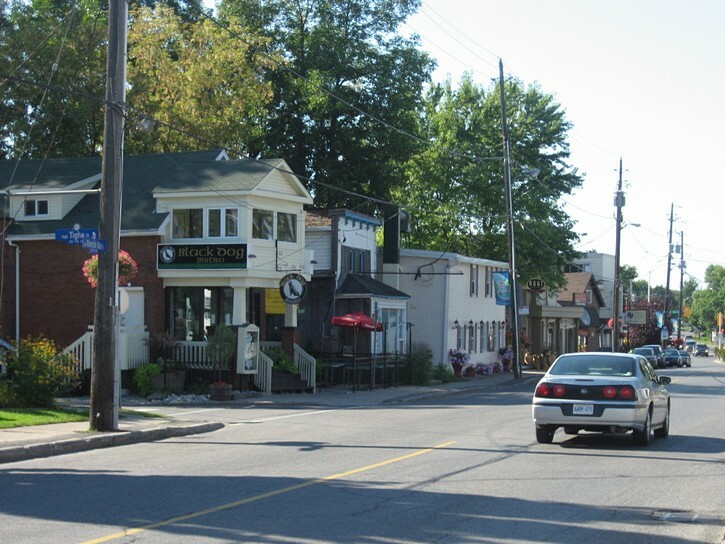 In a little under 3 kilometres Mitch Owens automatically becomes Bridge Street, which will bring you right into the Manotick village. Mitch Owens does have a paved shoulder, but it’s starting to get a little rough. Your other option is to take River Road. It’s more interesting than Limebank Road, and much of it does have a good paved shoulder. The down side with this route is that it has a two-kilometre gap (towards the north end of the road) with no paved shoulder. This is a problem because River Road has quite a bit of traffic and is unpleasant to cycle on without the benefit of a paved shoulder. 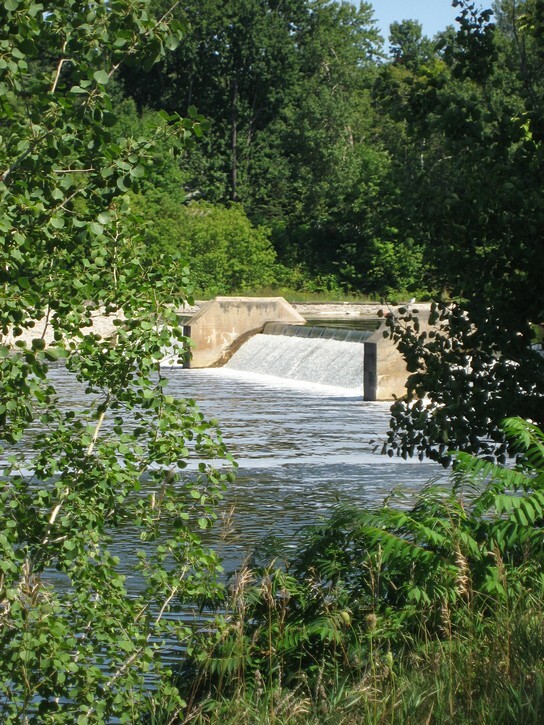 If you do opt for River Road, you might want to take a small detour to check out a locking station and the arch stone dam on the Rideau River, as well as the tiny and rather unique island community located on Nicolls Island. You can find all of this at the end of Nicolls Island Road. River Road eventually intersects with Bridge Street. Here you will turn right and cross Long Island by passing over two short bridges. Immediately after crossing the second bridge turn left on Mill Street, and you will be in Manotick’s downtown area.